Massachusetts zoning law imposes an array of restrictions on the right to use one’s property. The law permits a party to seek an exception (known as a variance) if a party believes they have unique circumstances excusing them from fulfilling the zoning requirement. A variance, however, is not the only grounds for seeking relief from zoning restrictions. Massachusetts law expressly provides a procedure for challenging a zoning requirement if the property owner believes the requirement is arbitrary and unreasonable, or substantially unrelated to the public health, safety, morals, or general welfare. Challenging a zoning requirement requires a property owner to file a petition in Land Court against the city or town to determine the validity of the zoning requirement. This law, G.L. c. 240, § 14A, is similar to a request for a declaratory judgment, where a court is authorized to make binding orders on actual controversies. Often, a party challenging a zoning requirement will bring an action under G.L. c. 240, § 14A and seek a declaratory judgment. A critical part of a G.L. c. 240, § 14A petition is that a landowner has limited prerequisites for challenging a zoning requirement. The homeowner does not need to have applied for a building permit or have obtained any architect plans for the proposed work. This is important because it avoids requiring a property owner to assume these large costs prior to determining whether it has to comply with the zoning requirement. Without this exclusion, a homeowner would seemingly have to substantially commit to the project before determining the zoning requirement’s validity, which would seemingly defeat the entire purpose of this law: allowing for such a determination prior to the start of the project. A property owner must prove that the zoning requirement is arbitrary and unreasonable, or substantially unrelated to the public health, safety, morals, or general welfare. This is no easy task: courts often given deference to towns and cities in their land use restrictions, and a landowner must make a solid case against the zoning requirement’s validity. The Court, importantly, will not simply decide whether the requirement is good public policy. Rather, the Court will look at whether the requirement has no basis for being a zoning restriction. With this in mind, a successful G.L. c. 240, § 14A petition needs to make this case, and not merely ask the Court to second guess the city or town’s law making process. 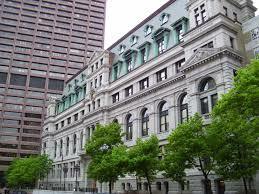 If you need assistance with challenging a zoning requirement in Massachusetts, contact me for a consultation. The Massachusetts Property Law Blog is proud to have Attorney Joseph N. Schneiderman guest blog on the Massachusetts Appeals Court’s recent Hickey v. ZBA of Dennis decision, an appeal involving proper notice for a zoning appeal. Attorney Schneiderman is an appellate attorney licensed in Massachusetts and Connecticut and may be contacted at connlawjoe@gmail.com. On June 15, in Hickey v. ZBA of Dennis, 93 Mass. App. Ct. 360, the Appeals Court, by a 2-1 vote, held that two zoning appellants had provided adequate notice to the Dennis Town Clerk and reversed allowance of summary judgment in favor of the Board. 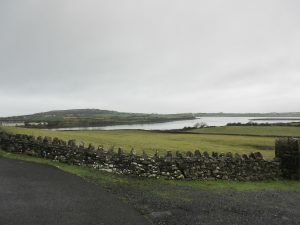 Specifically, although the appellants did not address the appeal to the Town Clerk, an assistant clerk discussed the notice with the town planner within the appeal period. The Hickeys own land along Cape Cod Bay and proposed to build a staircase. Ultimately, the Board denied them zoning relief and filed their decision with the Town Clerk on April 14, 2016. On April 20, 2016, by counsel, the Hickeys timely appealed to the Land Court under G.L. c. 40A, §17. Counsel sent copies of the appeal by certified mail to the individual members of the Board at their home and one to the chairman at Dennis Town Hall. The town planner received the appeal on April 25 and discussed it with an assistant town clerk some time before May 4. However, the Hickeys did not notify the Town Clerk until May 5 by e-mail-after learning that she had not received the appeal. The Board moved to dismiss, asserting that the Hickeys did timely not serve the Town Clerk pursuant to G.L. c. 40A, §17. The Land Court allowed limited discovery on the issue of timeliness. The Land Court later converted the Board’s motion into one for summary judgment and concluded that there was not timely notice. The Appeals Court reversed and reinstated the zoning appeal. Writing for the Court, Chief Justice Green recalled the failure to timely serve a zoning appeal on a Town Clerk was a jurisdictional defect that courts strictly policed. Indeed, notice was important not only to the town but anyone who may be aggrieved. However, so long as the Clerk had actual knowledge of the appeal, notice sufficed. The Court recalled that filing a copy of the complaint but no notice of appeal (and vice-versa) suffice, as did serving the clerk at home after hours on the last day of the appeal period. Finally, serving the appeal at town hall with papers addressed to the town clerk that the clerk did not receive (and learned of from a town planner) sufficed. Citing Konover v. Planning Board of Auburn, 32 Mass. App. Ct. 319 (1992). The Court held that Konover echoed the present case where the Dennis town planner received the appeal and discussed it with an assistant town clerk before the end of the 20 day period. This sufficed to show actual knowledge. Justice Singh dissented, asserting that the plaintiffs bore the burden of proving timeliness and noted deposed the town clerk to prove notice. Justice Singh argued that the cases the majority relied on dealt with instances where the appellants actually attempted to serve the clerk-but for whatever reason, service was imperfect. By permitting actual knowledge to suffice, the majority would subject town officials to litigation-and permit the exception to swallow the rule. Since the appellants did not attempt to serve the town clerk in a timely fashion, Justice Singh would have dismissed their appeal. This case poses an interesting doctrinal duel. On the one hand, notice is a fundamental pre-requisite to a zoning appeal. However, notice does not occur in a vacuum and the important end is that a town (and anyone aggrieved) be aware that a zoning appeal is occurring. An honest mistake about addressing papers or reaching the wrong room of town hall rather than the town clerk should not nullify an entire zoning appeal-nor should an evasive clerk. However, Justice Singh raises a valid point that the Clerk’s knowledge should become an issue if there was unsuccessful or imperfect attempt to serve them. Unlike in Konover, where the papers were addressed to the Clerk but left at the wrong office, the record reflects that the appellants definitely did not address the appeal to the Clerk or otherwise notify the Clerk until after Day 20. And indeed, the better practice, as the Appeals Court suggested in Konover, is to address and confirm service by certified mail and return receipt personally before the expiration of the date. Indeed, after hours efforts at service can backfire. Given this doctrinal duel and its public consequences, this case may well be a candidate for further appellate review by the Supreme Judicial Court. Indeed, a group involved with other litigation with the Hickeys has moved to intervene in the Appeals Court to seek further appellate review. Joe has an appellate practice in Massachusetts and Connecticut and has previously taken on the Boston Zoning Board in the Appeals Court.